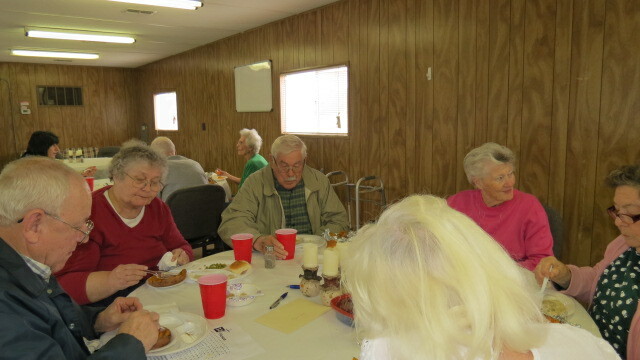 Bethany Senior Fellowship is currently from 10:00 AM – 2:00 PM the first and third Thursday of each month. We invite you to come out and see what we are doing. Our mission is to provide an opportunity for senior citizens in Jasper, Cove City and West Craven County to get out of the house, meet, and socialize. Lunch is provided, free of cost, at each session. 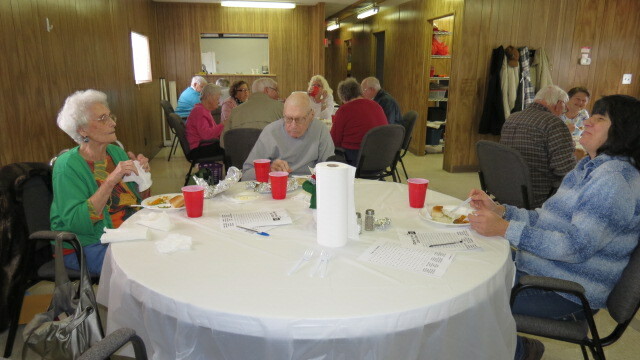 Each week we offer educational programs, craft projects, bingo, and other fun activities. Thanks to New Bern-Craven County Rescue Squad, we also offer free medical checks including blood pressure, pulse, and blood sugar testing for everyone in attendance. We encourage your input and suggestions to make our program enjoyable for all. Let us know what activities or hobbies you would like added to our program and we will work to include them in future sessions. If you have any questions or would like more information, please contact Bethany Christian Church at 252-635-1194 or send us an email from the Contact Us page. We invite everyone to drop in and join us.